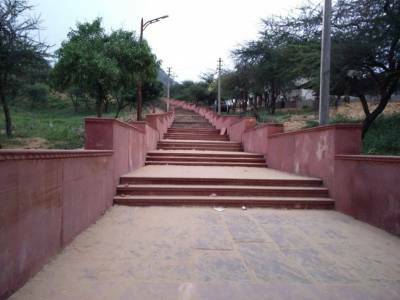 The Savitri temple in Pushkar is situated on the Ratnagiri hill, a considerably formidable climb around the Pushkar Lake. 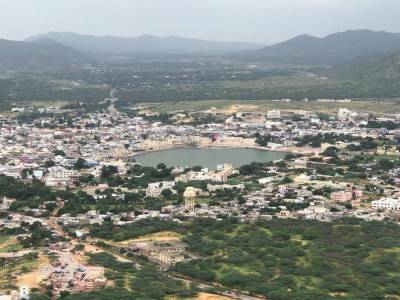 Pushkar is in the Ajmer district of the Indian state of Rajasthan and is a small religious hamlet with a rich history and a popular pilgrimage spot for Hindu school of religious philosophy. 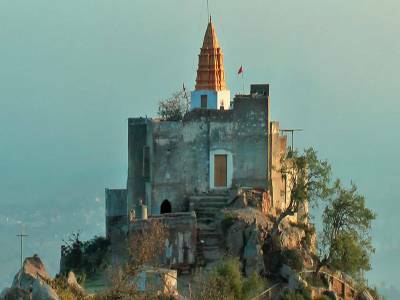 The Savitri temple has a strange story owing its origin and subsequent installation to that can be traced back to various Hindu epics and mythological references in the religious texts and scriptures. It is said that the temple dedicated to Goddess Savitri, was built when she cursed her husband Bramha for compromising her prized position beside her husband as the orchestrator of an important religious ceremony with an inferior mortal. 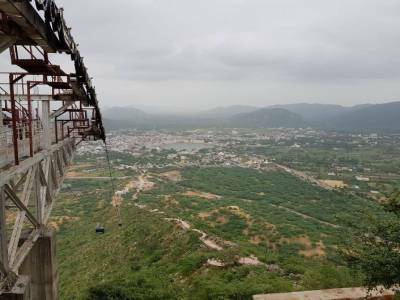 According to the curse, Bramha was doomed to be restricted to only one place of worship by devotees and that was in Pushkar. Tradition still reveres and obeys the Goddess Savitri's wishes to be worshipped first before one proceeds to pay their tributes for worshipping Lord Bramha, thereby saving themsleves from the folly. As mentioned earlier, the climb to the temple premises after scaling the Ratnagiri hill is quite challenging and not for the faint-hearted. However, legend has it that the hard work and toil spent in scaling the hill to reach the temple is credited to one's spiritual accumulation of wealth. 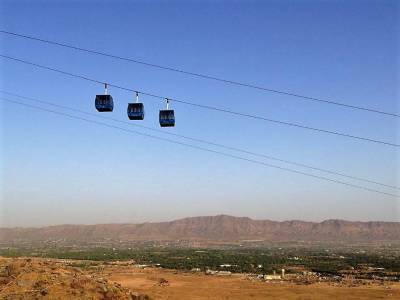 Although there is a rope way cable car for those who cannot climb stairs, if your visit is a pilgrimage, avoiding the toil of climbing stairs will not make the pilgrimage successful, or so it is believed. The temple houses the idols of both wives of Lord Bramha, Savitri and Gayatri, the one he replaced the original wife with. However, in accordance with ritual belief the Goddess Savitri is worshipped first before one approaches Gayatri. Accessibility: Savitri temple is about 3 KM from city Bus Stand and and can be easily reached via rickshaw or walkway. Get quick answers from travelers who visit to Savitri Temple.